Booby and the Beast: And We Walked . 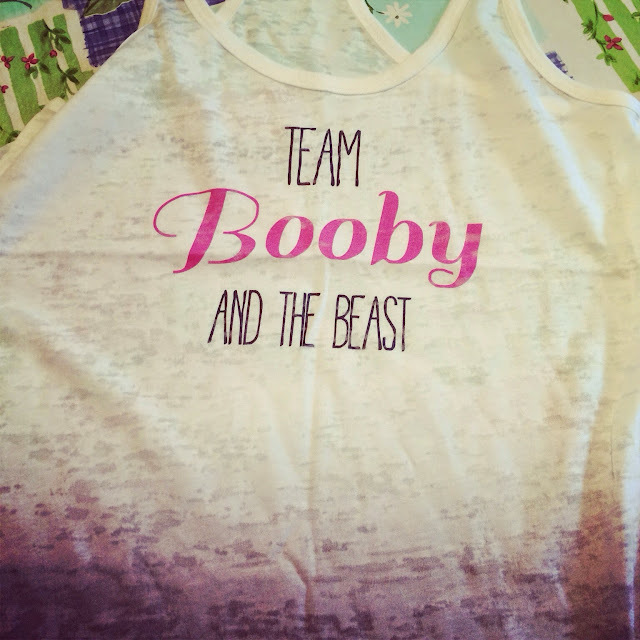 . .
We did something a little different this year: we formed an official team for fundraising, Team Booby and the Beast. It was so official, we had shirts made. My team included my best friend in the world, Alana, who reminded me we've been friends for going on twenty years; Shelby, another amazing woman I've known half my life; and Ginelle, who's married to my husband's best friend from childhood. The four of us raised an impressive $16,065.29. Yep, that's me tooting our own horn. What can I say? I'm proud of us. Thank you to all our generous supporters for making this happen. 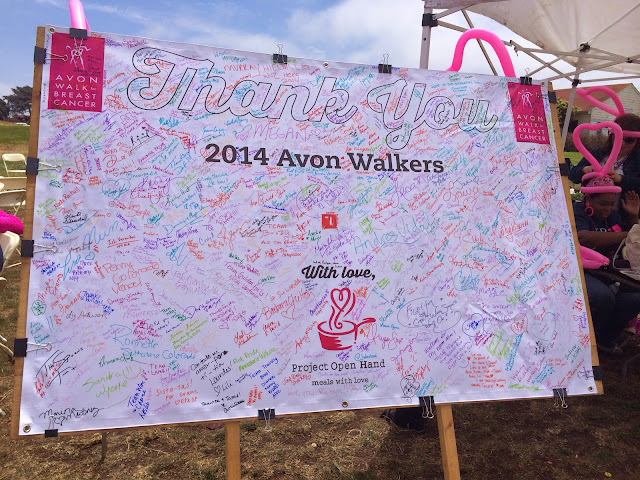 The San Francisco walk alone raised $4 million this year for research and support services, including chemo and diagnostic tests for those who can't afford it. I want you to know a little more about these teammates of mine, these women who come out year after year to wreck their feet with me and beg their networks for donations so that one day, we can say we helped end this disease. Alana came to visit me when I had my last round of chemo #1, and got my news that Christmas that my first post-chemo scan was squeaky clean. She is the only person who's been with me to the dingy part of the hospital where I used to have my PET scans (lucky her). On the walk, Alana is the one who will suggest jogging for a bit to change up the muscles you're using (and the thing is, it actually works). She spotted the girls handing out mimosas at mile 24, and made sure we all stopped to grab a cup. When we realized the buses to the start left at 5 a.m. on day one, she suggested we Uber it to the start instead, which meant we got to sleep in until 5:30. Also, she designed our team shirts. In short, she makes my life easier and more fun and far more beautiful. Shelby is a friend from college, one of the women who cut off her hair to make a wig for me. She is also a researcher at Genentech, and was the first person who made me feel at all better about the fact that I had Stage 4 breast cancer. 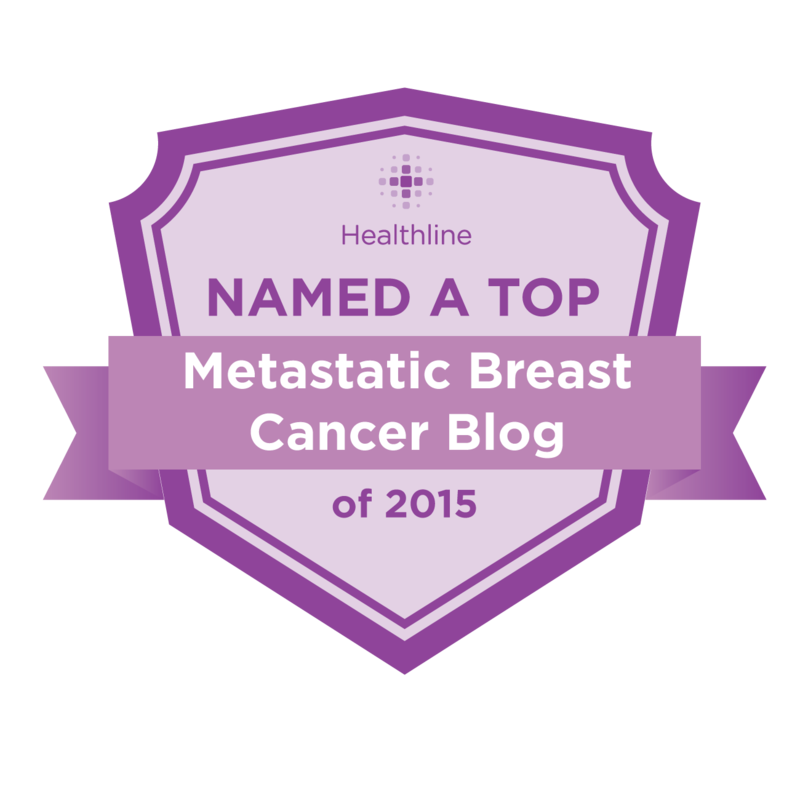 She talked to me about Herceptin and gave me confidence that I could do this. Shelby is as emotional as I am, and wept with me as we crossed the finish line, the four of us holding hands. We were saved by the guy handing out free It's-its, a San Francisco ice cream cookie treat I'd never experienced but now crave daily. Shelby still reminds me that I'm doing this thing, this beating cancer thing, and almost more than anyone she makes me feel okay about my diagnosis. I'll write more on Shelby and Genentech in another post soon. Ginelle hardly knew me three years ago, beyond the fact that I'd married her husband's best friend, but when I was diagnosed she left her family to come visit and cook meals for our family. Last fall, she treated me to a weekend at Canyon Ranch, which has to be the most relaxing place on earth. 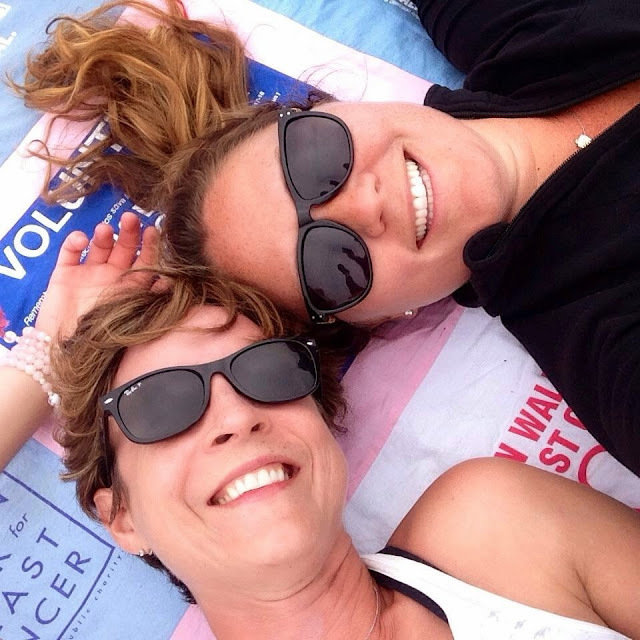 I'm pretty sure we'd have been friends regardless, but cancer sped up that process. Some people run away from the burning building; Ginelle is the type to run straight into it carrying ice water and oxygen masks. Ginelle is so prepared, we dubbed her the team girl scout. She kept us supplied with electrolyte powders and gummies, bandaids, body glide to prevent blisters, mole skin when we got them anyway, scissors, foam rollers, Advil, Epsom salts, and things we'd never even heard of, like silicone toe caps that I probably should have used, given the state of my toenails right now. She kept us on schedule in the mornings and ahead of the pack so that we were even the first to use some of the port-a-potties on day two. All four of us, our feet hurt. We had blisters and bruised toenails, sore bunions and throbbing arches. We were chafed where our sports bras rubbed too tightly. Our hips and knees ached, especially walking down those steep Marin County hills. We were so exhausted we were delirious and punch drunk. Which may explain why we immediately signed up for another year. We'll be going back to my old stomping grounds and walking in DC the first weekend of May, 2015. We'd love it if you'd join us, too. So much achievement and so much friendship! 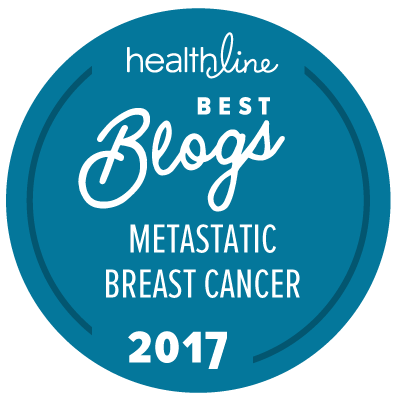 An empowering blog, that is for sure. Thanks, Diana! I am a lucky lady, for sure. Count me in for DC 2015! Yahoo!! I think you can already sign up at www.avonwalk.org, and I'll let you know when we've got our team registration in the works, too.